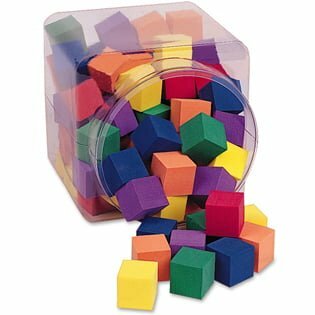 Quiet soft foam cubes are washable and durable. Great for individual, small-group and center activities. Teach counting, sorting, patterning, color recognition, spatial reasoning and early geometry with this set of 102 1″ cubes in six bright colors.